We have added some goodies in this release that our amazing customers have asked for in the past. Please take the time to read about this update (and others!) so you can optimize your use of our platform whenever you can to streamline your processes even more. The ID, Name, Description, User, App Name, Status, Creation Date, Completion Date and Scheduled At information can now be pulled down with the API. This allows you to do analysis on your dispatches or place the data in another system to help you manage your jobs. You can also include the data your user filled out, too. 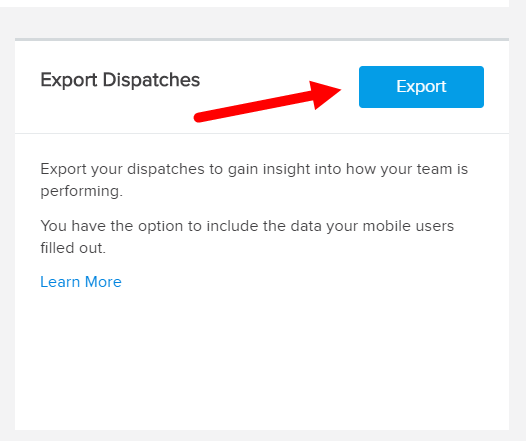 This same data has been available for export manually for a little while now under the "Export Dispatches" area of the Dispatch page. You can export some of this data manually if you want to get a feel for the data available now via the API. 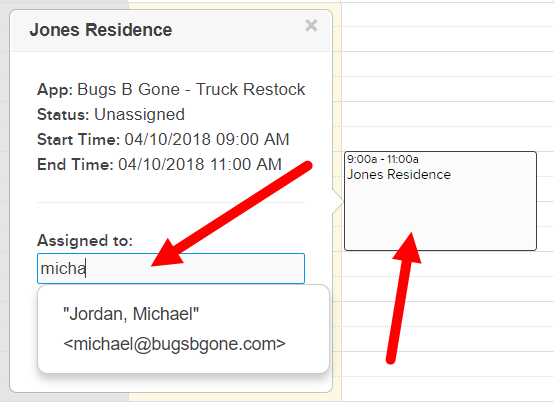 Customers using our Dispatch Calendar to schedule jobs and send jobs out on a scheduled date and time have wanted to be able to assign, unassign and reassign dispatches via the calendar. Now you can do it! In this example the dispatch is unassigned and I am assigning it to Mr. Michael Jordan. 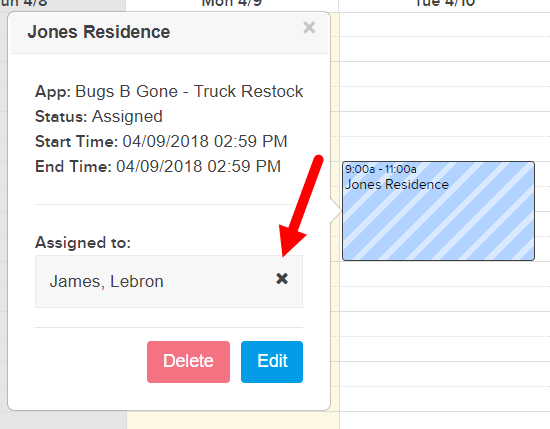 In this example I am going to unassign this dispatch from Mr. Lebron James. He has a playoff game that day and can't make this appointment! If you have not tried our Dispatch Calendar, please learn more here. If your plan doesn't include our Dispatch Calendar then please submit a ticket and we can reach out to discuss with you. We have made it much easier to create what we call "dependent reference data" configurations. You might think of this as "filtering" data with dropdown fields so your users can quickly find the values they need from reference data files. Here is a sample price list file to illustrate this functionality. The first column has duplicate values in it because your price list has multiple items from the same manufacturers. 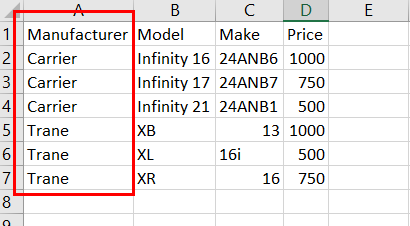 What you want your user to do is choose a manufacturer from a dropdown field and then choose a model based on the manufacturer you picked in a subsequent dropdown field. So if your user chooses "Trane" then she would only see the models by Trane in the second dropdown. We have set the default to AUTOMATICALLY remove duplicates assuming most customers don't want duplicates. If you need the duplicates just check the "Show Duplicates" box. 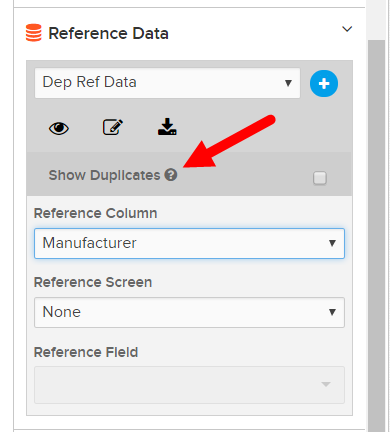 The checkbox only appears when you have mapped a dropdown field to a reference data column that contains duplicates. To learn more about dependent reference data, please visit this help topic. The reason for adding this feature is so you do NOT have to use a second reference data file anymore. We did more work on our upcoming enhancement to our submission search capability. This will make finding submissions much faster. If you want to be part our beta testing program for this, please send an email to feedback@gocanvas.com. We will reply, add you to the list and then let you know when we're ready. Tell us what you think! Visit our Community to provide feedback, answer questions from other GoCanvas customers and post questions you have about how to configure GoCanvas to address your specific problems.